Donbei, the udon branch of Japanese instant noodle company Nissin, can be rather adventurous when it comes to marketing their products, at one time even hiring artists to feature their products in glorious paintings. 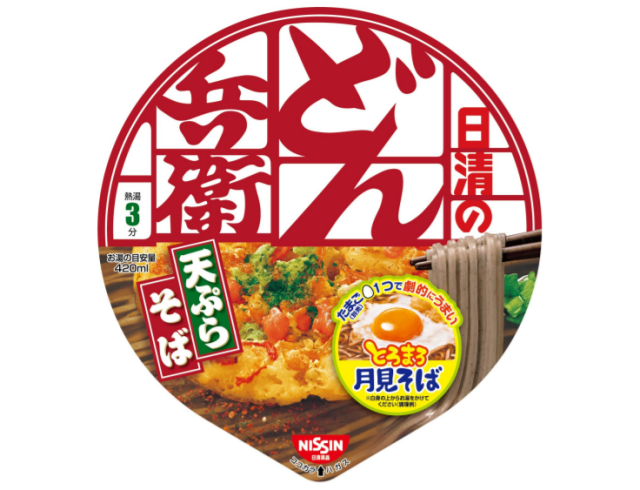 The collaboration promotes their Tsukimi Soba (“Moon-viewing buckwheat noodles”) line of instant noodles, and will run until Dec 31. Approximately 50 cabs will be driving around various Tokyo districts everyday from 7 a.m. to 10 p.m.
Reserving a taxi is as simple as downloading the MOV smartphone app and selecting “taxi companies” to check if a Donbei Taxi is available for hire in the neighborhood. After assigning the Donbei Cab a pickup location, all you have to do is wait for the complimentary ride to arrive. A calling fee and normal cab fees will apply should the destination be out of the 23 wards of Tokyo. Donbei Cabs will deliver customers directly to their destinations, so no swinging by places of interest or stopping midway before resuming. Donbei Cabs cannot be flagged down, only reserved via the MOV app. That means customers could travel from central Chiyoda to as far as western Nerima — a trip that would take up to 45 minutes and roughly 8,000 yen — for absolutely free! 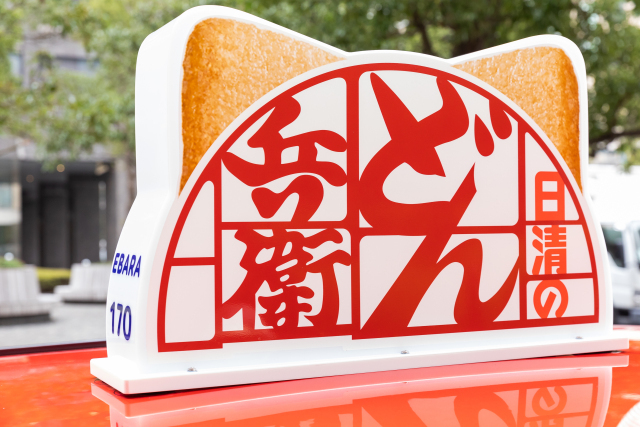 Donbei Cabs can be distinguished by the red car body advertising the company’s trademark Tempura Soba as well as the charming rooftop light, which features the Donbei symbol and two corners of fried tofu made to resemble fox ears. ▼ Even the interior is decked out in splashes of red for that exclusive superstar feel. 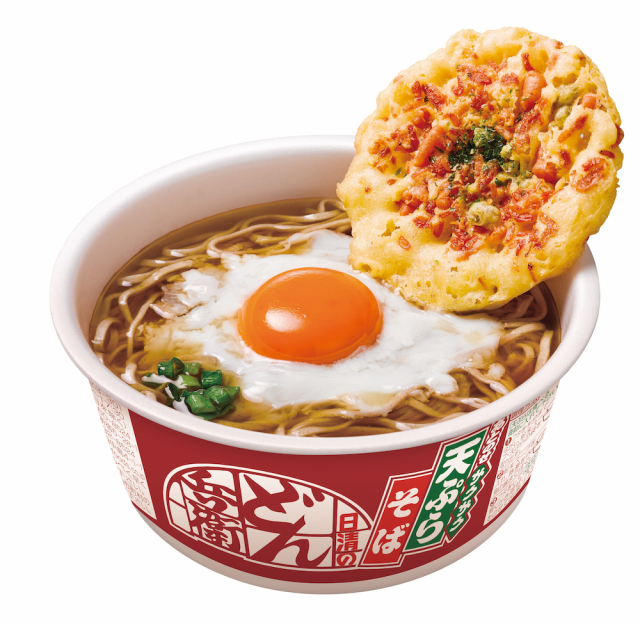 ▼ What’s more, all riders of these very special taxis will each be gifted with a Tempura Soba bowl from Dec 26-31. ▼ …ensuring that you will not go hungry during this festive season. You can access the MOV app in the Apple Store here (Japanese). How awesome is that for an instant noodle promotion? Not only do we get to sit in an exclusive limited-edition cab for free, lucky customers can also enjoy complimentary bowls of delicious instant soba that can be enjoyed 11 different ways for maximum satisfaction. Anything from Nissan for me is out. I am putting my money on other producers even a car maker from any other countries. Vinarius@ Don't you know the difference between Nissan (an automaker) and Nissin (a noodle maker)? The car brand used by Donbei cabs is not specified. Not bad and good advertising and promotion for Nissin.